University of Windsor researcher Xiaoxu Ji works uses a motion capture technology to analyze work on an assembly line. Ford Motor Co. and researchers from the University of Windsor are exploring how 3D motion capture technology could increase worker safety and efficiency on the assembly line. Using the same technology Hollywood uses to create films like Planet of the Apes and Avatar, researchers create computer-generated work stations and digital employees to analyze the ergonomics of any job on the line. With more than 400 assembly line stations in the auto average factory, it can be costly and time consuming to create a physical simulated work station for each one. That’s why the 3D technology and computer animation is being used. Professor Joel Cort is one of the researchers working on the project. He can mock up basic physical work stations in his lab, using a variety of items, such as plastic quarter panels, desks and doweling and rubber hoses and more. 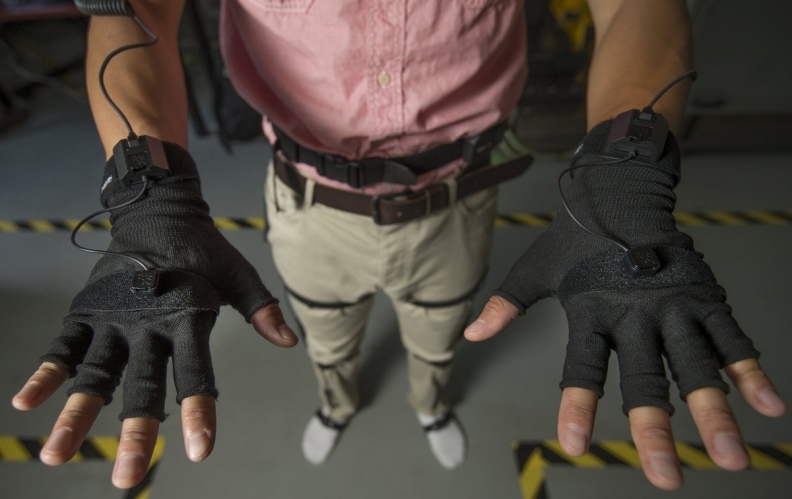 He uses those to test the $60,000 motion capture technology and software. 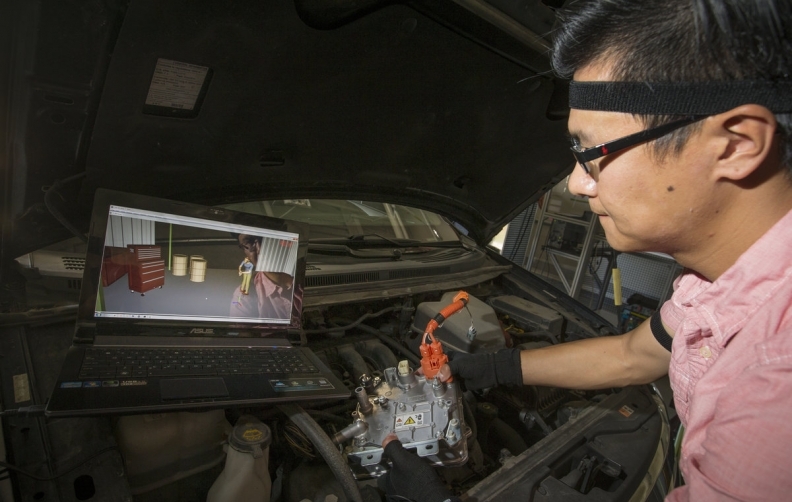 Once initial analysis of the technology itself is complete in his lab, ensuring that all the sensors and software work well together, employees at Ford’s Windsor engine plants and the company’s Oakville assembly plant will be outfitted with a motion capture suit. As the employees work, the high-tech suit, which includes special gloves and 36 sensors, will record their movements on the factory floor. All that information will be uploaded to a computer which will generate what Cort called “a digital mannequin” that will work on a digital assembly line. 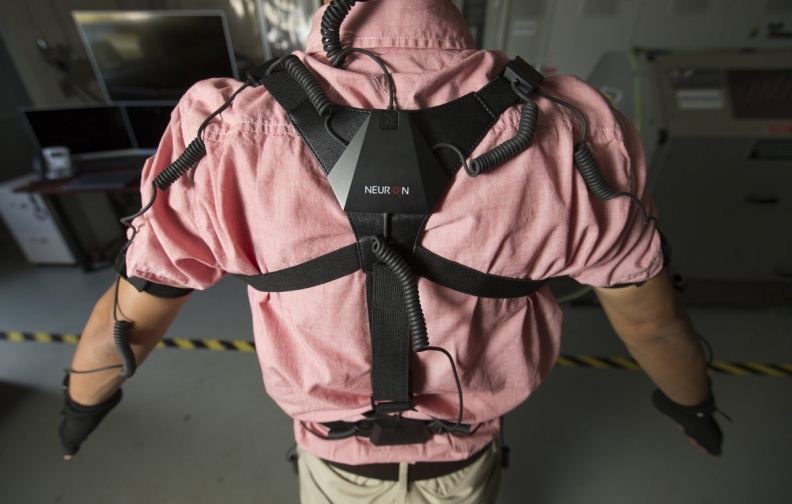 A special suit equipped with 36 sensors will caption all the movement of a Ford worker on the assembly line. He called assembly workers “industrial athletes” who hone their own skills and become as efficient as they can on their own over time. 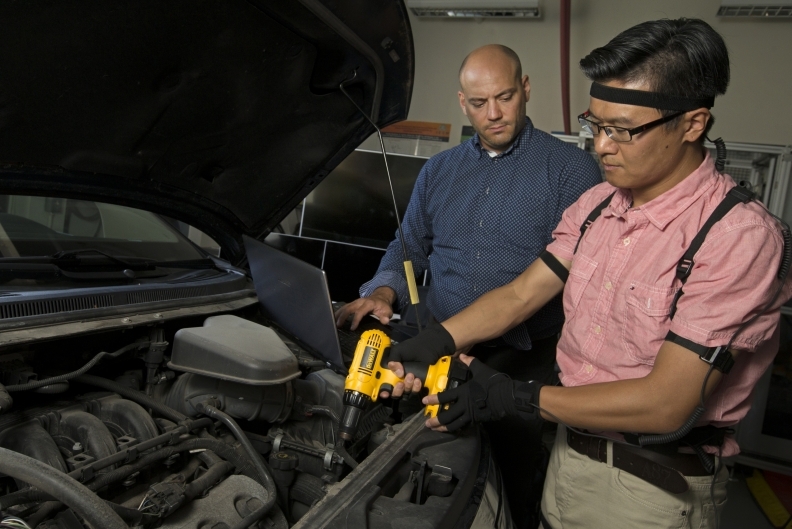 This project will give Ford a near-complete picture of the tasks at each of its hundreds of assembly line work stations, enabling more rapid and accurate ergonomic analysis of the job. The company’s industrial engineers can then use the information to redesign stations when necessary and optimize for efficiencies. “If we can capture their motions in terms of how the job is currently being done and understand the operators’ motions, we can use that and develop predicted algorithms,” Cort said. For example, the technology will be used to spot differences in how tall and short workers do the same job. It can also be used to help reduce bending or straining during jobs that require lifting, or pushing. One goal is to get the digital human to “mimic the work that will be done five years from now and mitigate any potential injury,” Cort said. A partnership between Ford Motor Co. and the University of Windsor will use motion capture suits to help prevent injuries on the assembly line. The Workplace Safety and Insurance Board reported in June that 46 per cent of all injury cases it dealt with in 2015 were strains and sprains. The body part with the highest number of injuries was the lower back, accounting for 16 per cent. Cort’s results can also be shared with physicians to help guide more effective return-to-work plans for injured workers. And more efficient and ergonomic work stations will lead to better built cars, Cort said. Reaching too far or not have enough strength to do a particular task to its fullest has the potential to affect the quality of the end product, he said. He also said the technology can be used by other parts of the auto industry, such as part suppliers. Cort hopes to be on the factory floor by January 2017, sharing one suit at as many as 50 work stations. University of Windsor professor Joel Cort watches Xiaoxu Ji work while dressed in a motion capture suit. The $170,000 project is being funded by Ford and the Canadian government, through the Mitacs Accelerate Project, a national, not-for-profit organization that has designed and delivered research and training programs in Canada for 15 years. It works with universities, companies and federal and provincial governments to partner academics with industry.